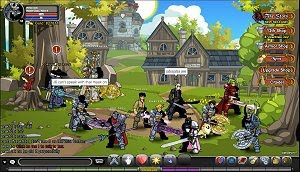 AdventureQuest Worlds in an acclaimed free browser based RPG featuring amazing visuals, real-time combat and a world that is constantly evolving, due to the care that the developers at Artix Team put on it. Quests, weapons, monsters, pets and crazy storylines are frequently added to the game. Choose your character and customize him with several options to turn your hero into a force to be reckoned with.